Skillet chicken with peaches is a gorgeous one-pot, 30-minute summer dish with fresh mozzarella and basil for a light, lovely dinner! I had such a fun weekend with my girls up at the lake! We spent the day riding and floating around, catching up (two of our group live out of town but flew in for this) and we sipped and ate all the good stuff. Several of us spent the night and it was glorious to sleep in and have a lazy little morning just lounging around. 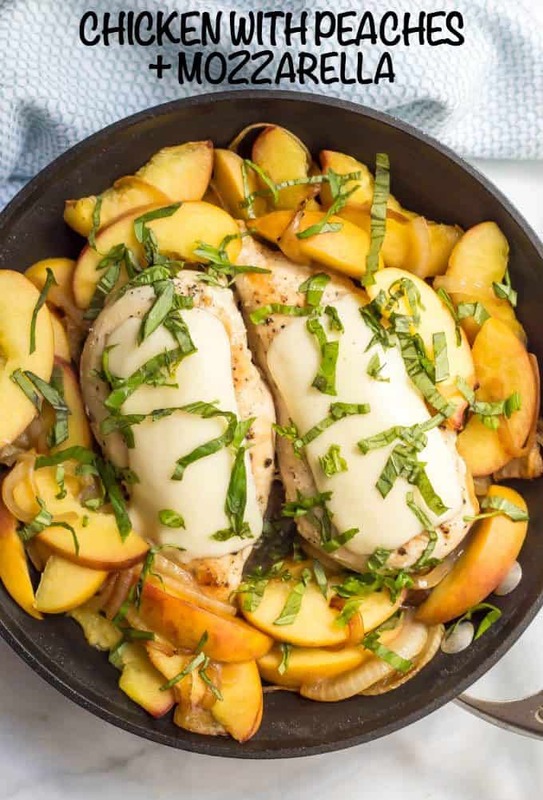 This skillet chicken with peaches is loaded with fresh summer flavors from the peaches and basil. 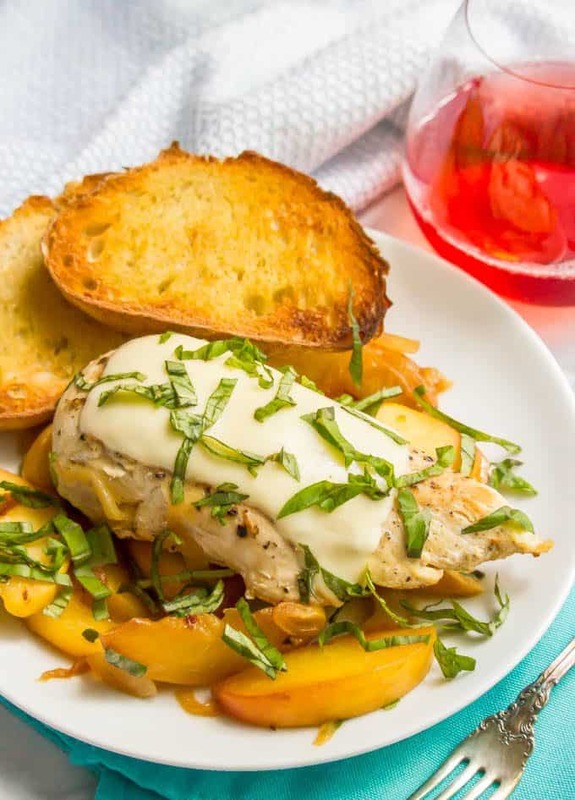 It’s a light, lovely dinner for enjoying with a glass of wine, out on the porch if you have one (and if it’s not too scorching hot). I use chicken breasts but chicken thighs would be great here too. I use fresh mozzarella cheese, but you could substitute shredded mozzarella. It’s optional, but I highly recommend the drizzle of balsamic vinegar at the end! We love serving this with a side salad (my super simple spinach salad is a regular go-to) and either some steamed brown rice or crusty bread. Hope your week is filled with summer fun and plenty of fresh and delicious summer eats! P.S. 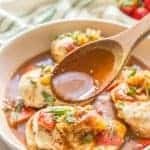 Check out my other chicken recipes in under 30 minutes and all of my easy chicken recipes. Skillet chicken with peaches is a gorgeous one-pot, 30-minute summer dish with fresh mozzarella and basil. Heat 2 teaspoons olive oil in a medium skillet over medium high heat. Add chicken breasts and sear for 3-4 minutes on each side until well browned. Remove the chicken to a plate and cover to keep warm (it will finish cooking later). Reduce heat to medium and add the remaining teaspoon of olive oil to the pan. Stir in the sliced peaches and cook for one minute. 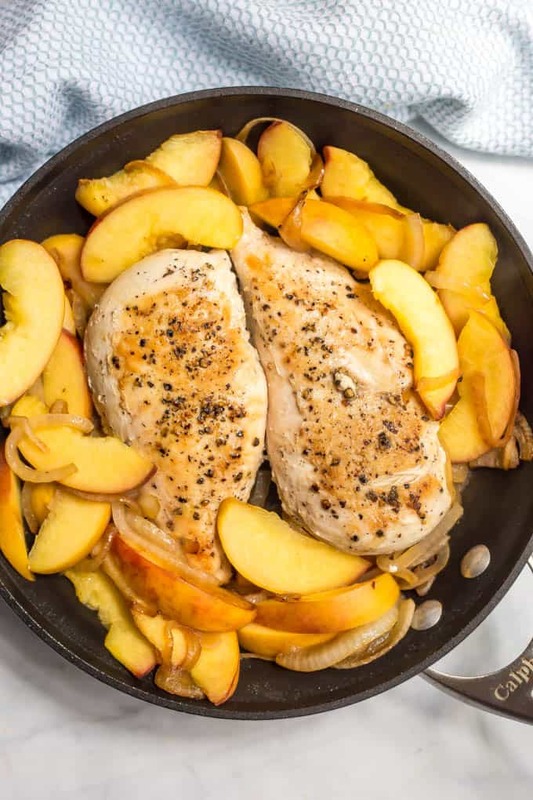 Return the chicken to the pan, along with any accumulated juices, reduce heat to medium low, then cover and cook for 7 minutes. 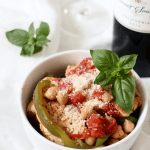 Serve sprinkled with fresh basil and drizzled with balsamic vinegar, if using, and enjoy! I used fresh mozzarella cheese, but you could substitute shredded mozzarella. You can of course double the recipe and use a larger pan if you want to serve 4 people. This was my FAVORITE meal my family and I have had in a long time. 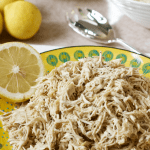 We followed the recipe exactly and served it over brown rice angel hair pasta (gluten free). Everything about this was perfect. 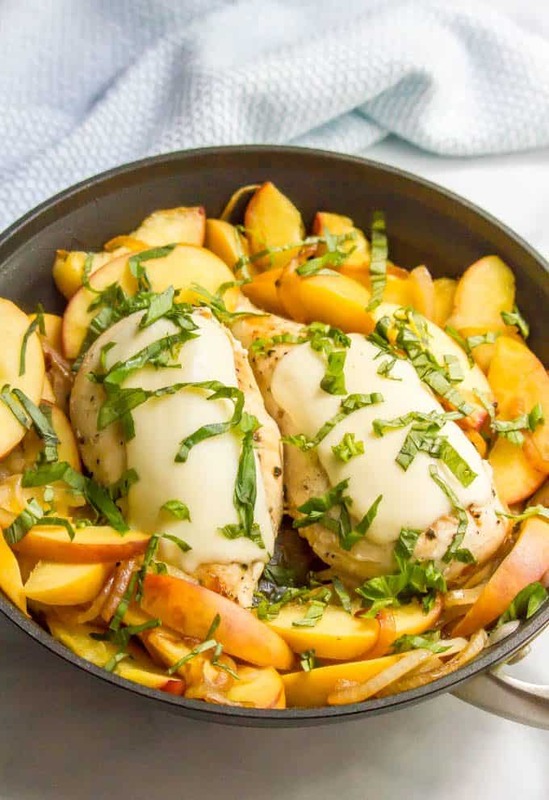 We make caprese chicken regularly and I wanted to try this for something different and I am so glad I did. 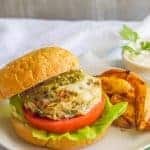 I will be following your blog for more recipes!